This is another classic tune that has made its way from the original Civ into Civ II, and it's very similar to the original too. It's called "Aristotle's Pupil" because Alexander the Great is the leader of Greece in Civ II. 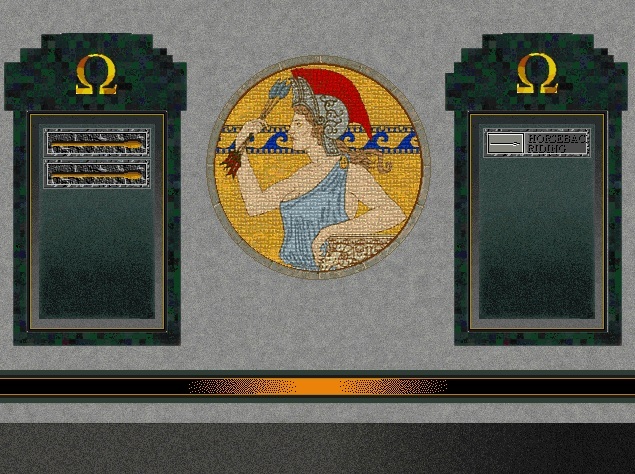 As you can see by the screenshot, this is not Aristotle's pupil but is in fact Hippolyta, queen of the Amazons, who serves as the female Greek leader in Civ II. No, she's not the mother of Wonder Woman - only in the DC Universe ;).